One of my favorite things to do during the fall in New York City is visit Central Park. My family and I make it a routine to visit every weekend and walk around seeing the gorgeous fall foliage that surrounds the park. During any fall day, I want to be comfortable in a long sleeve blouse and pants without being too cold. Sometimes a coat is needed, however I love the days when it&apos;s not and I can walk around and enjoy the cool breeze with just a top and pants. When I spoke with Rosie in her Madison Avenue store I mentioned that one of our favorite things to do was go for walks and picnics in the park around this time of year. Because of the great fall foliage around she knew that it would be a perfect opportunity to grab some family pictures. Not only does a great backdrop make for great pictures, but so does the perfect maternity outfit. I never want to look frumpy, especially in a photo that will last a lifetime. I love embracing my bump and showing it off, especially in pictures, so Rosie hand-picked an outfit that accentuates my curves and is great for photographs. The Hudson Blouse features pin-tucking just below the bust for added room and a pleated bib with mod collar. 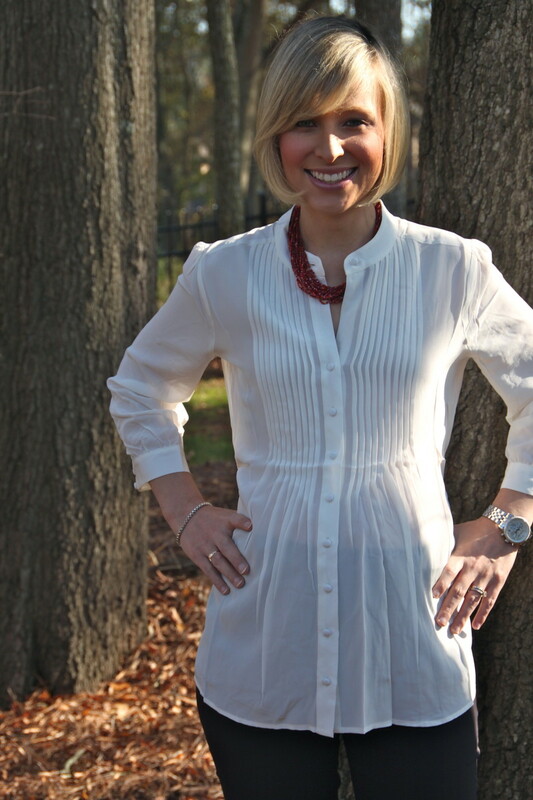 This silk blouse is a three-quarter sleeve and hits just below the elbows. It isn&apos;t quite enough to keep me warm enough on a fall day, but pair it with a cardigan and it looks fabulous! I showed off the Pret Pant Classic last week and I have another pair on this week I just love them so much. Made from heavy-duty Euro-stretch twill, this pant is both forgiving and shaping and has a super slimming straight leg that is perfect for work or play. I still believe these are the chicest pair and most comfortable pair of maternity pants available. If you are looking for a chic and sophisticated look that is perfect to capture any moment, this is the one. The Pret Pant is available in three colors and retails for $168. The Hudson blouse is available in two colors and retails for $168 Both items can be purchased at www.RosiePopeMaternity.com. 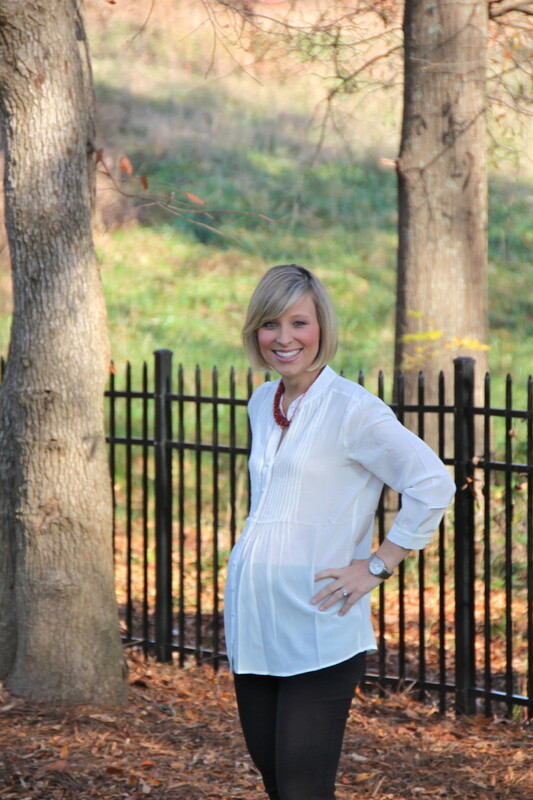 To learn more about Rosie Pope maternity, please visit her website.